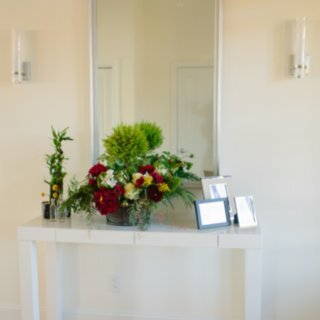 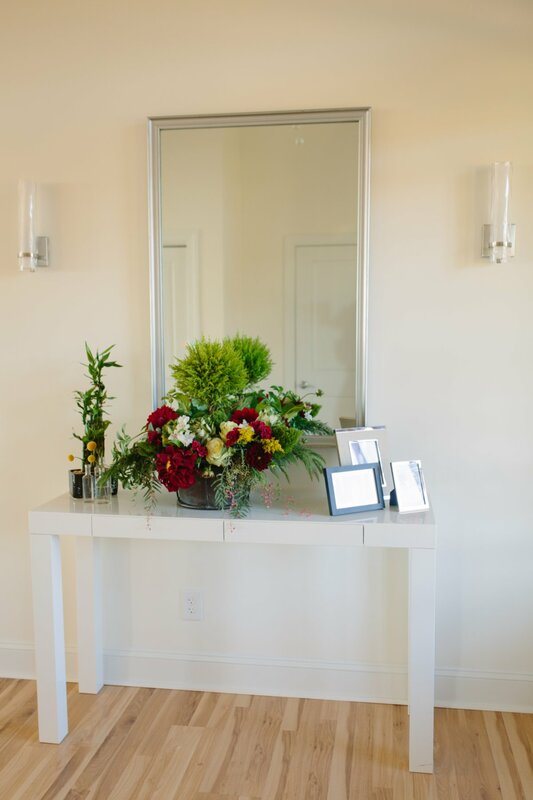 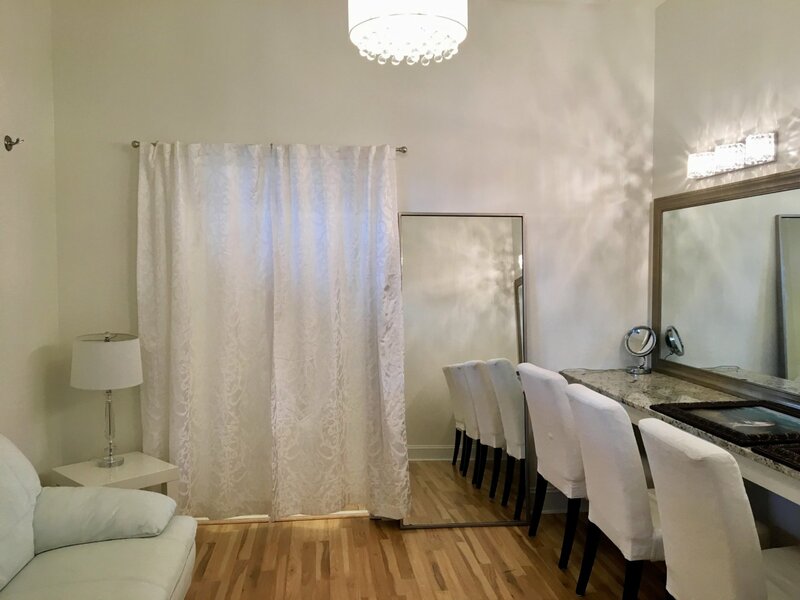 You will be greeted by the owners of Sky Retreat or one of the staff members for a tour of the brand new, over 6,500 sq. 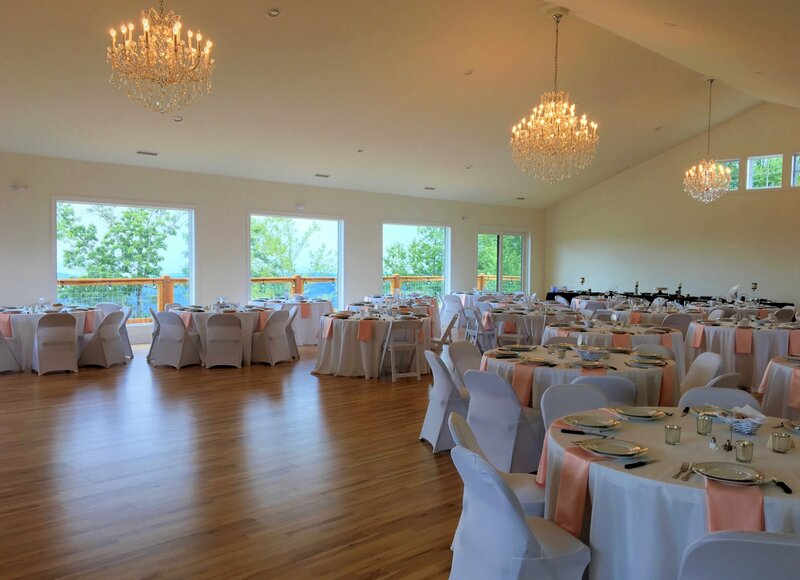 ft. Grand Event Hall and Wedding Venue at Sky Retreat. 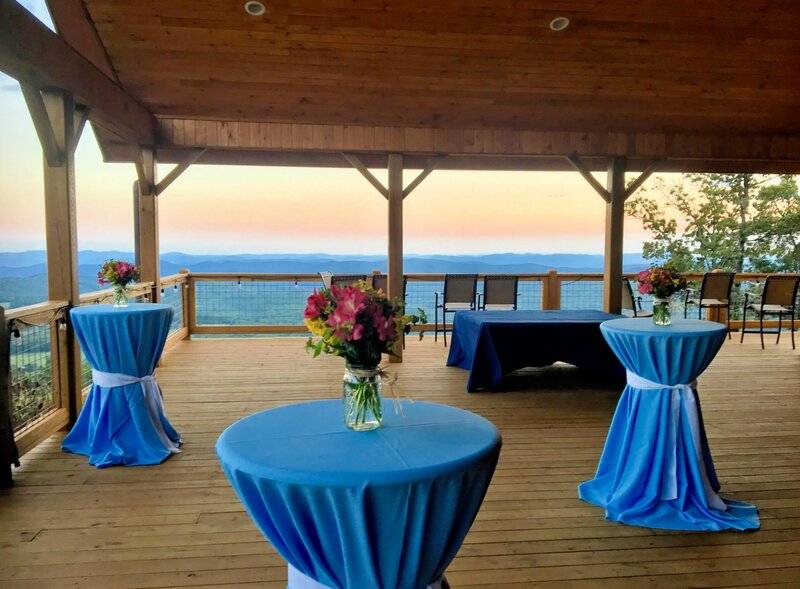 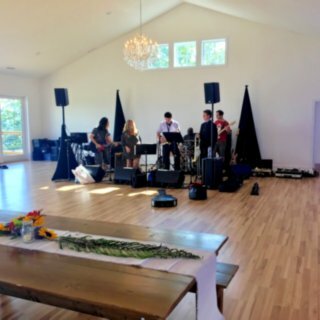 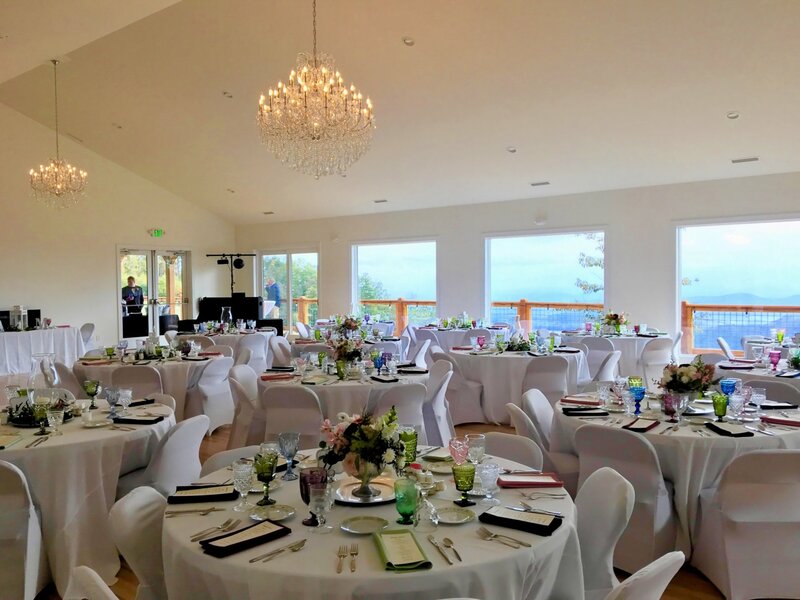 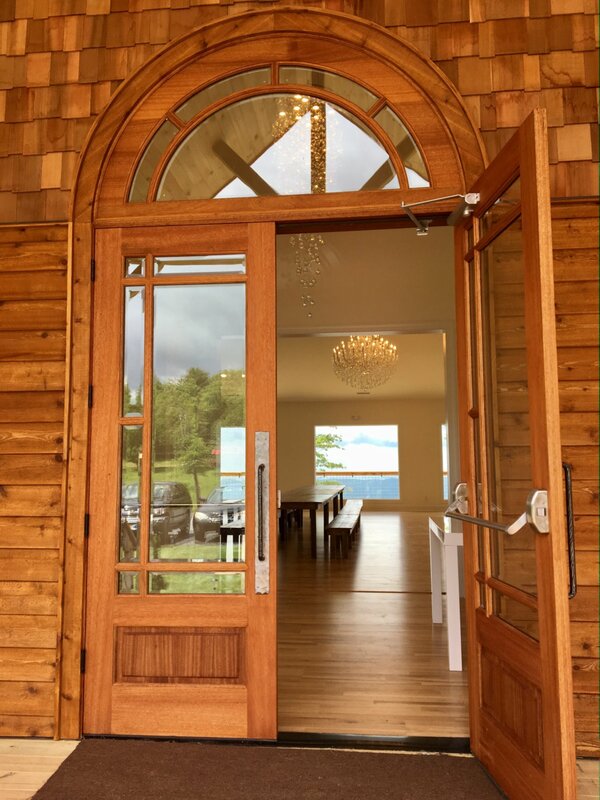 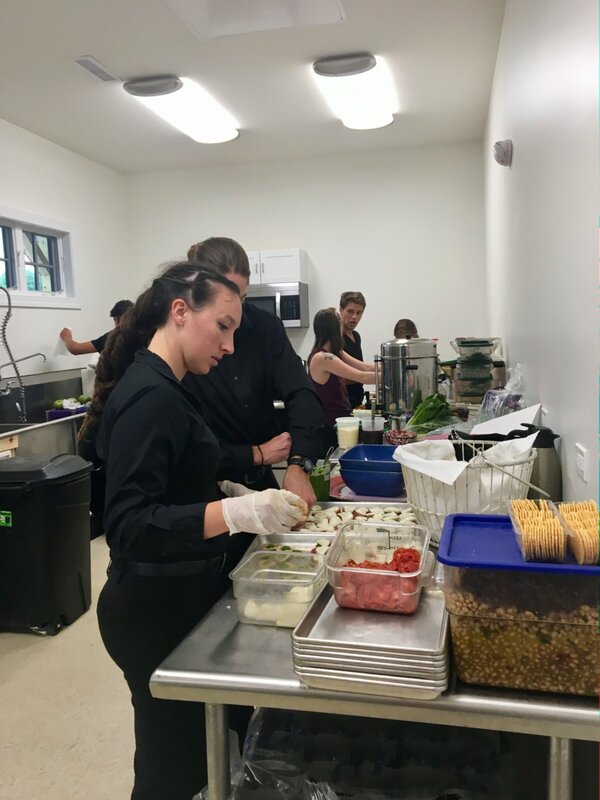 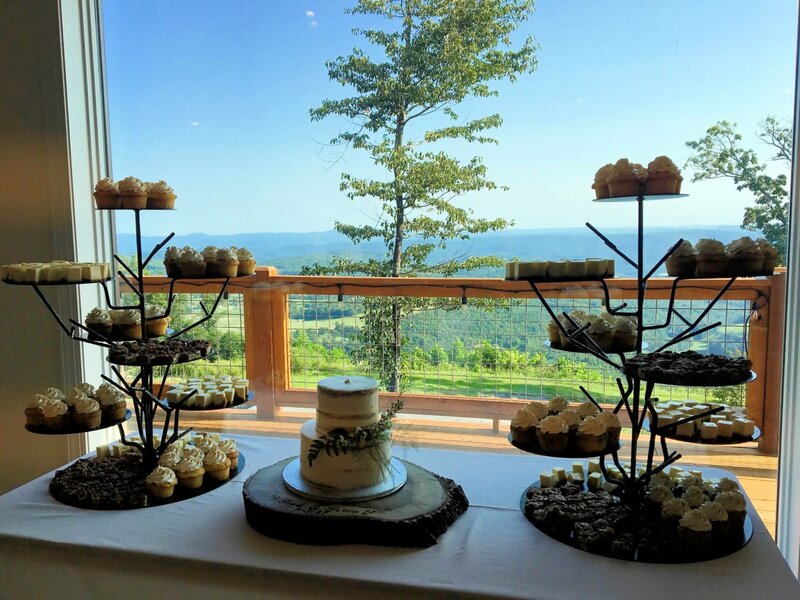 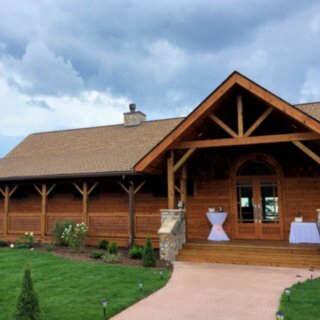 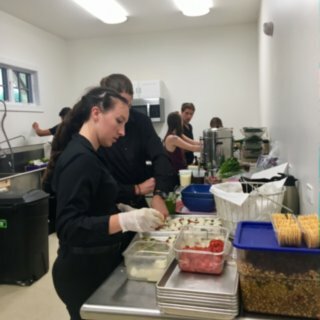 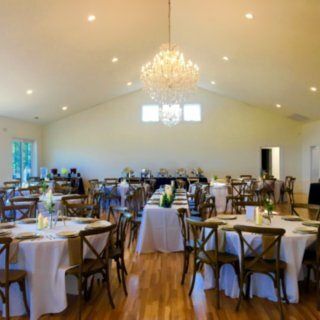 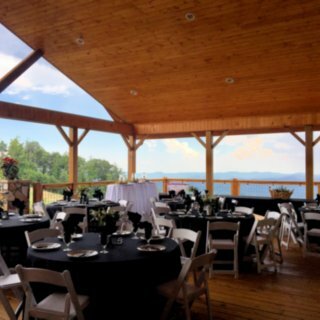 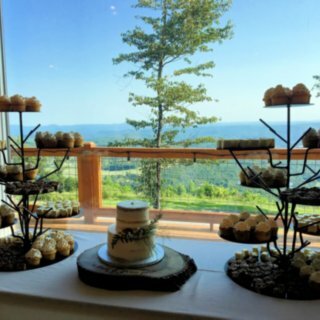 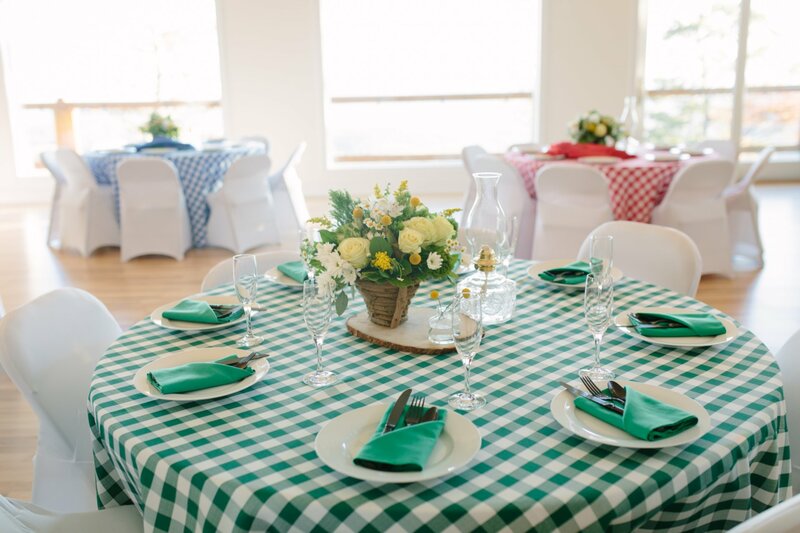 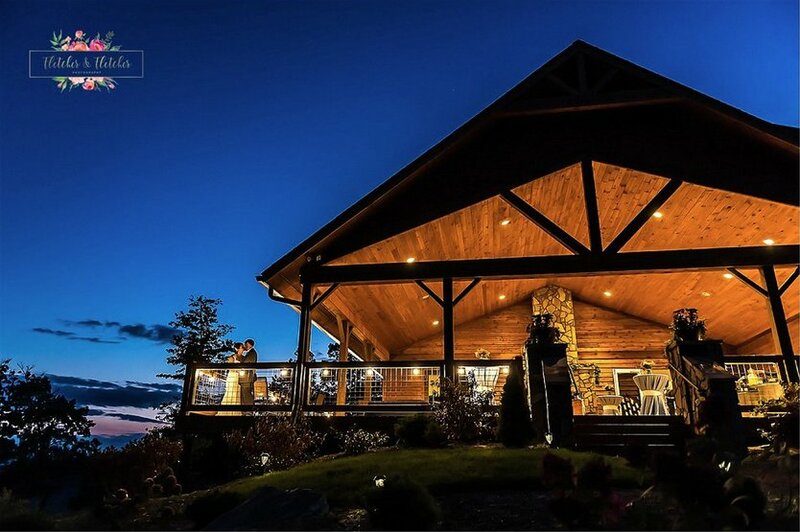 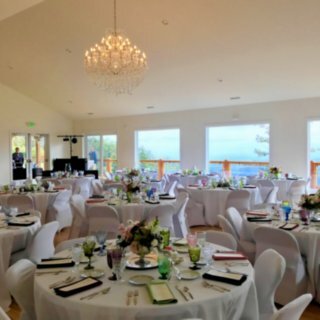 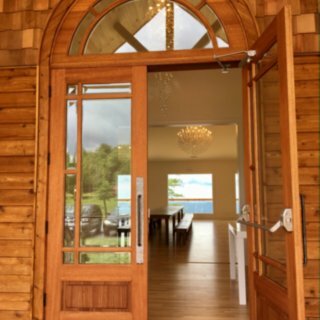 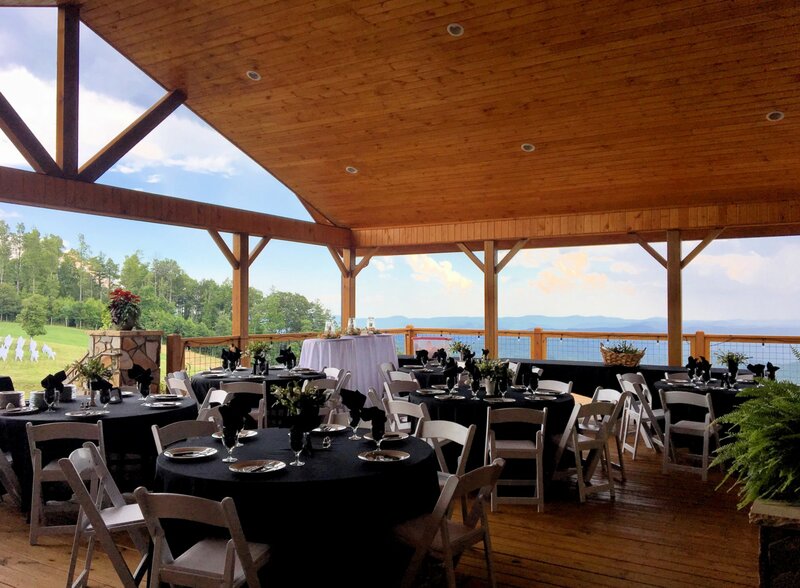 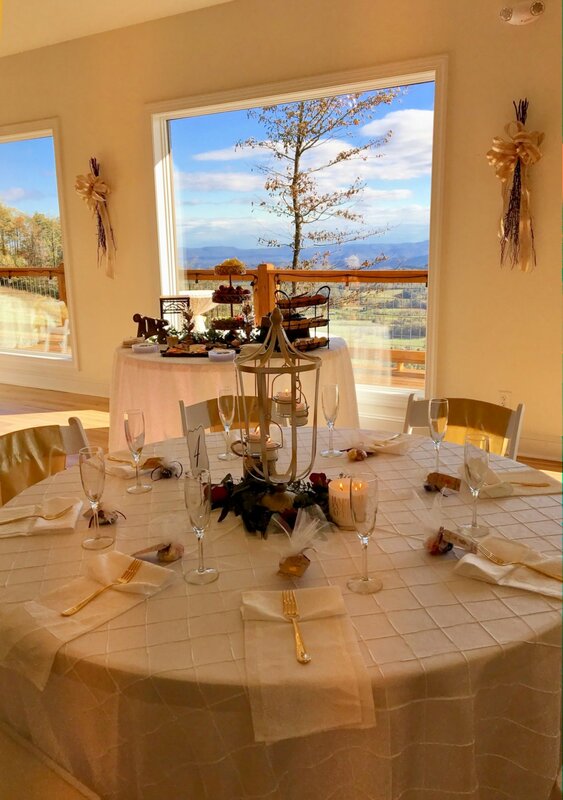 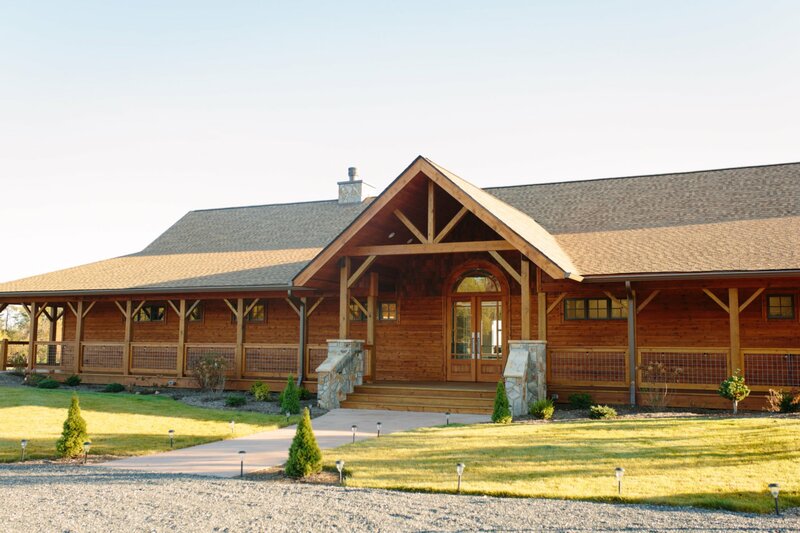 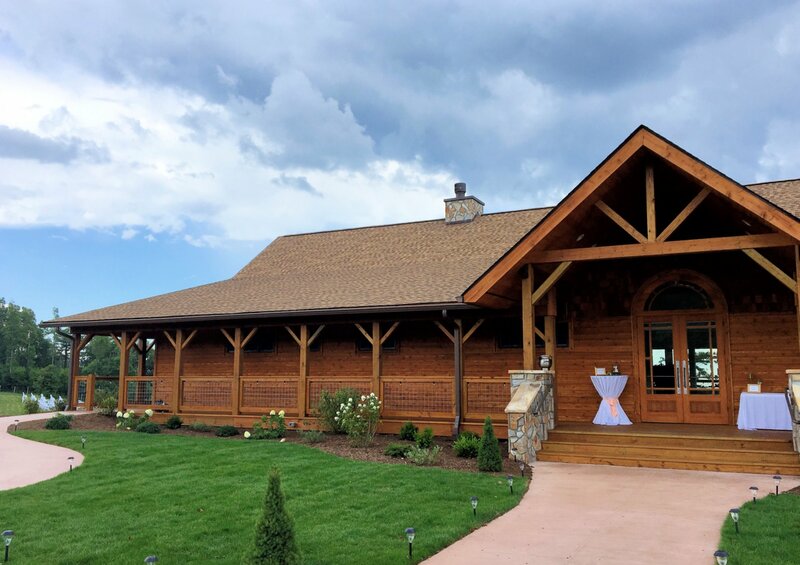 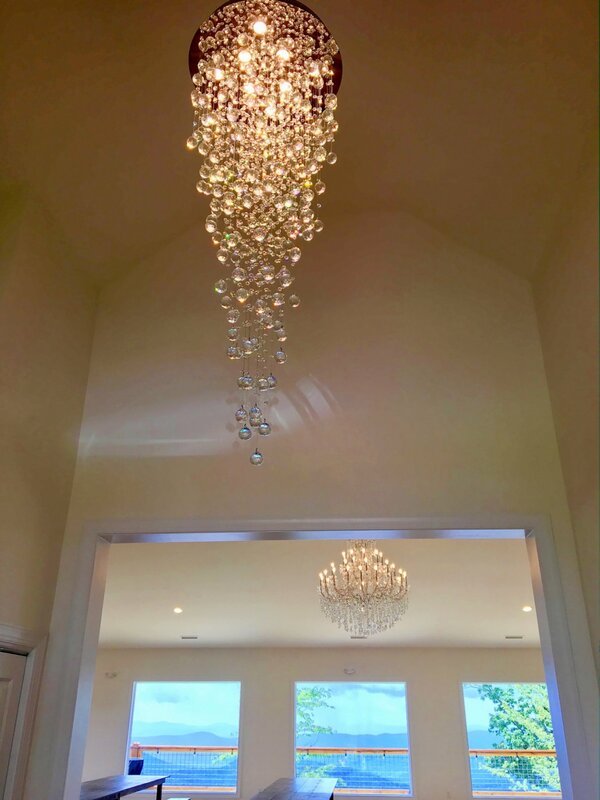 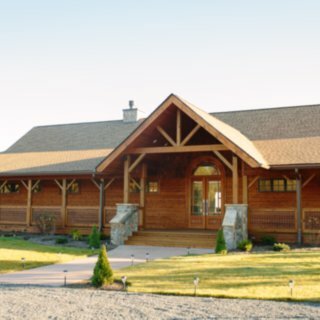 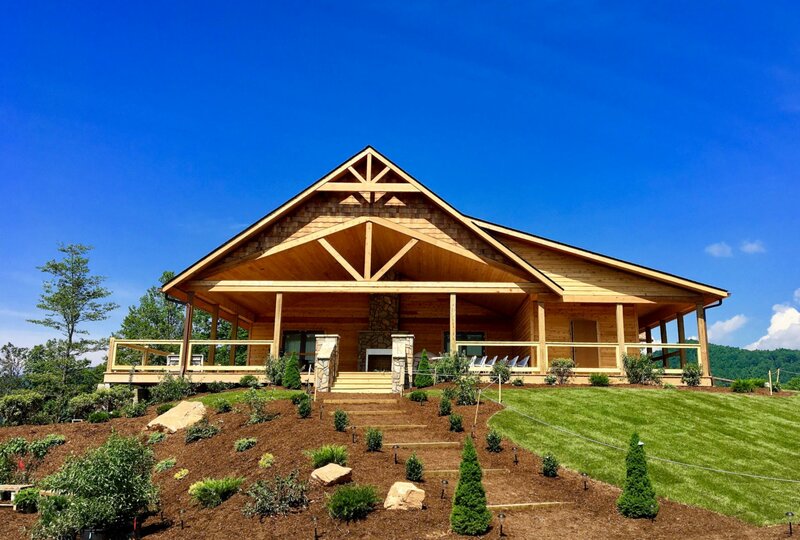 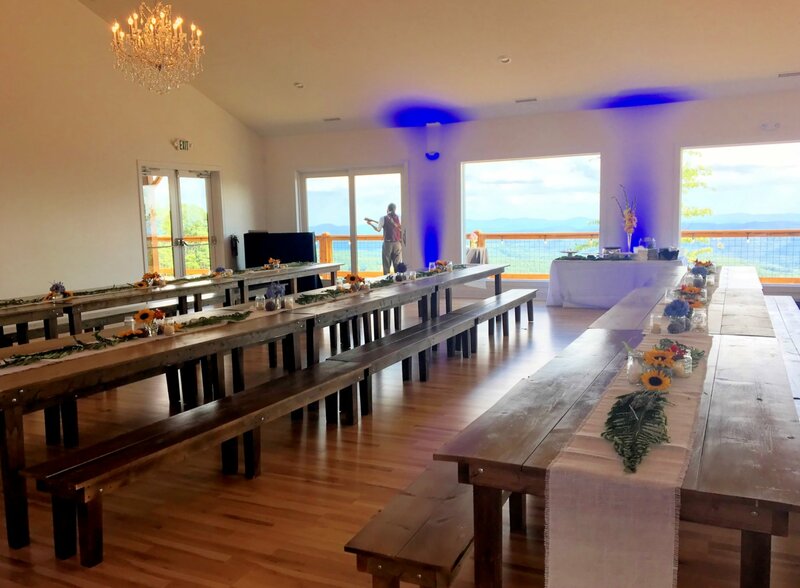 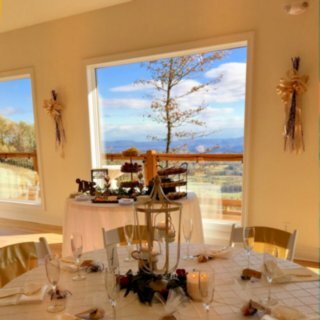 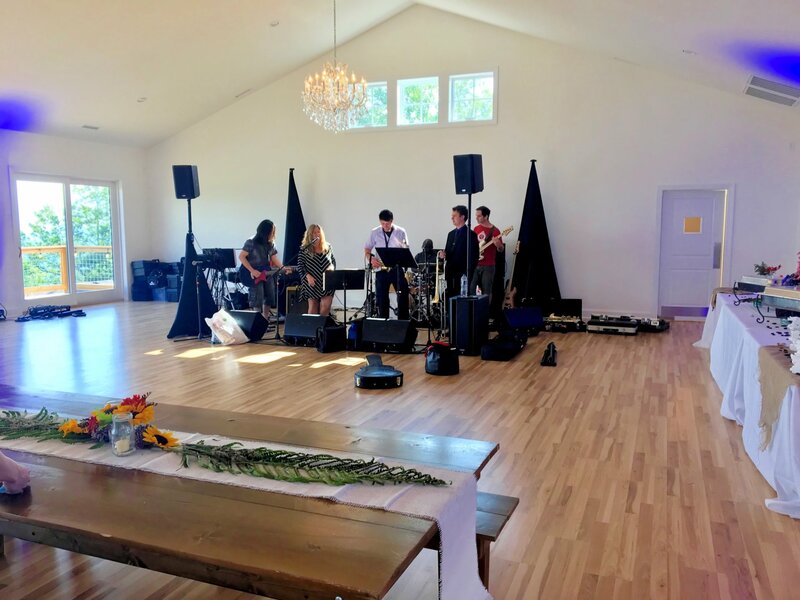 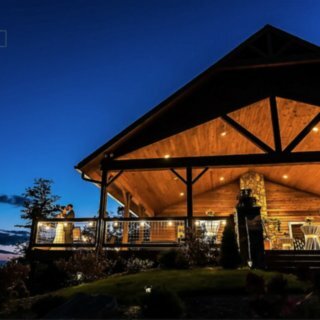 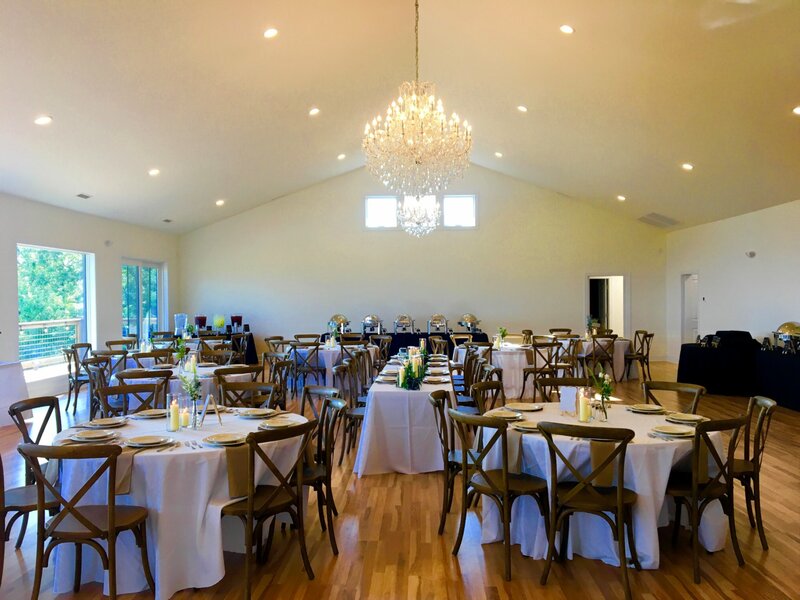 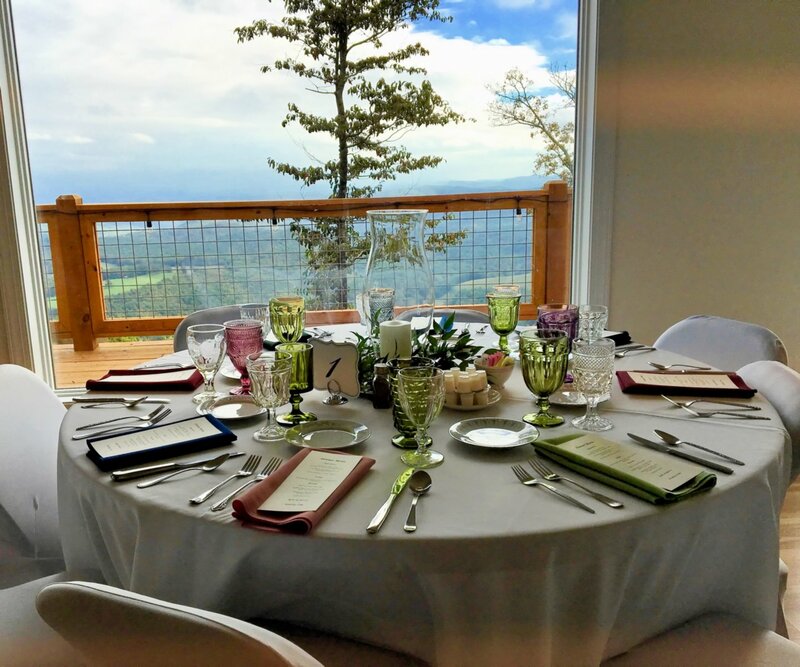 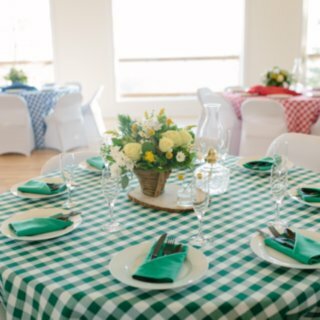 You will be given a tour of the Grand Event Hall including it's large ballroom with a 60x40ft professional dance floor, bridal dressing room, many bathrooms, a catering kitchen, and 50ft x30ft covered veranda with fireplace and spectacular long range view. 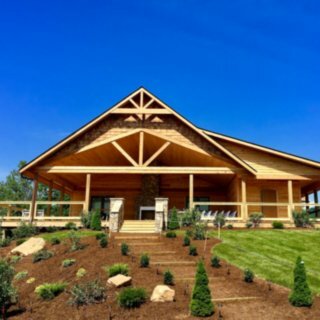 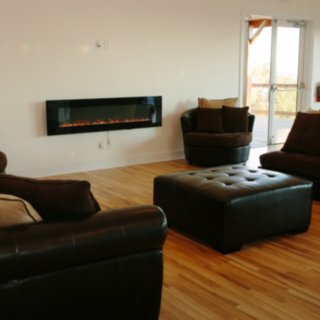 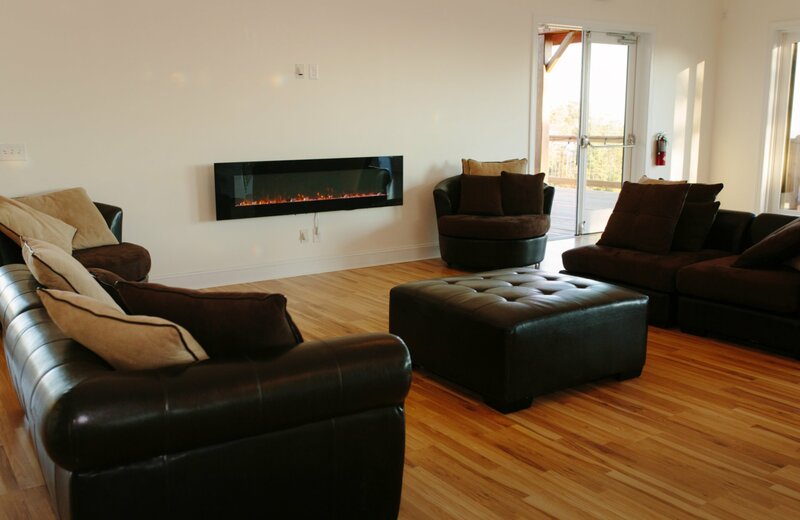 You will have the ability to tour a couple of the 13 cabins which are available for event lodging onsite. 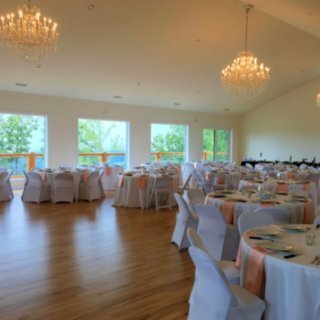 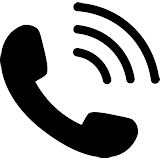 You will be given an overview of all the amenities and activities available onsite for your special event weekend. 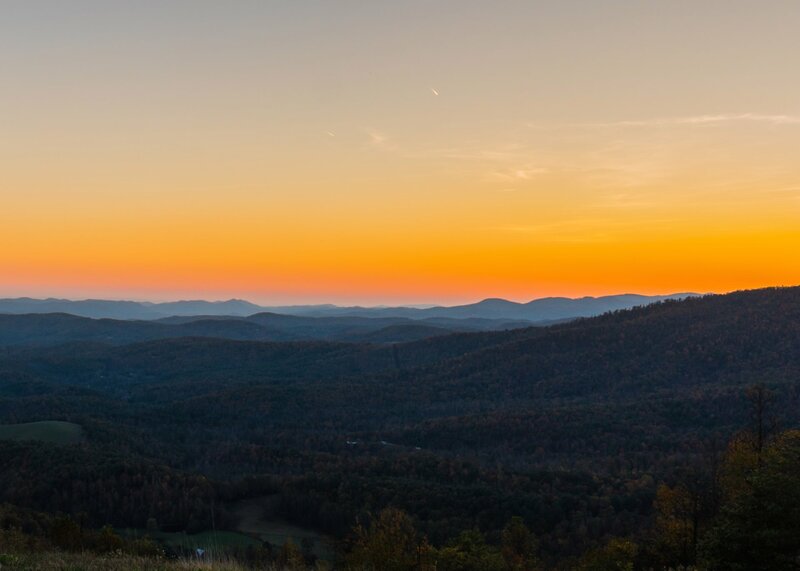 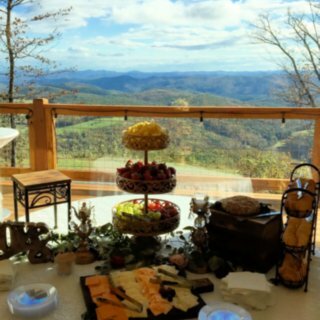 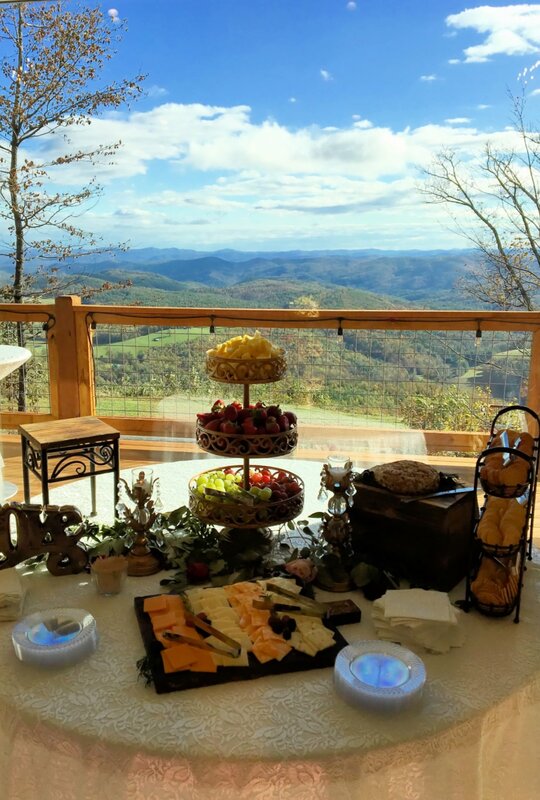 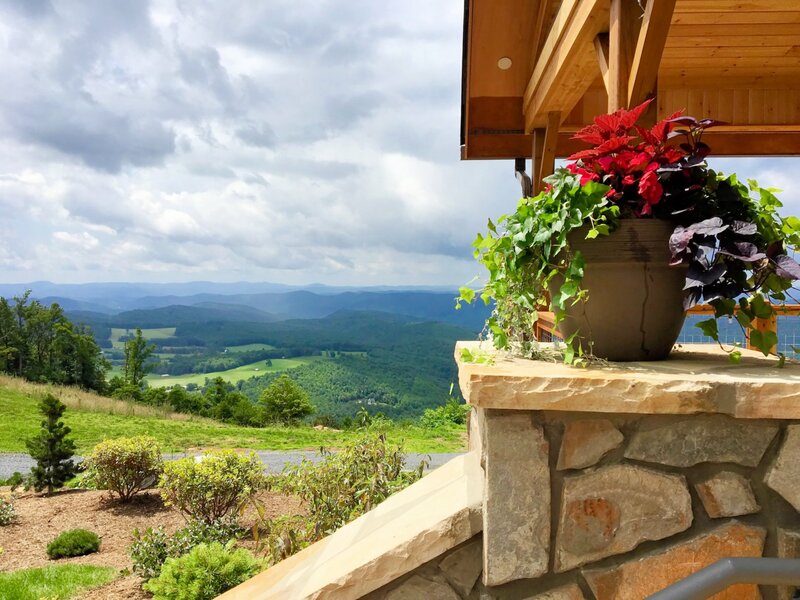 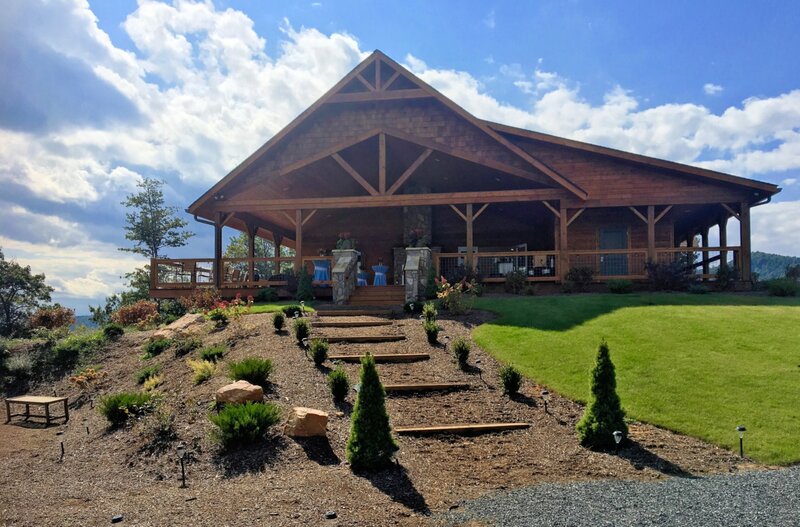 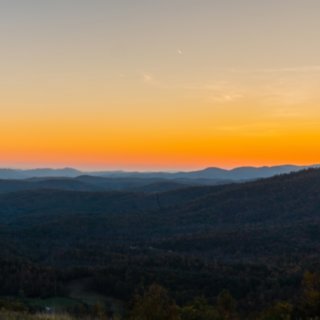 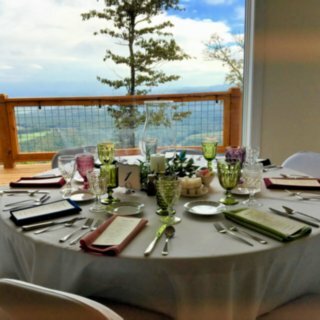 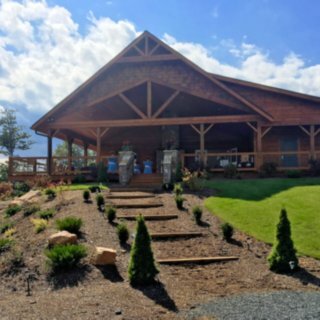 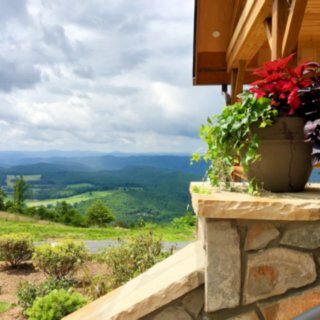 During this tour, we will share with you all the nearby attractions such as the hiking trails to the Cascade Waterfalls, a nearby restaurant directly off the famous Mountains to Sea Trail, Tubing and Kayaking on the New River, and fishing in the fully stocked pond on the Sky Retreat property right outside the cabins.